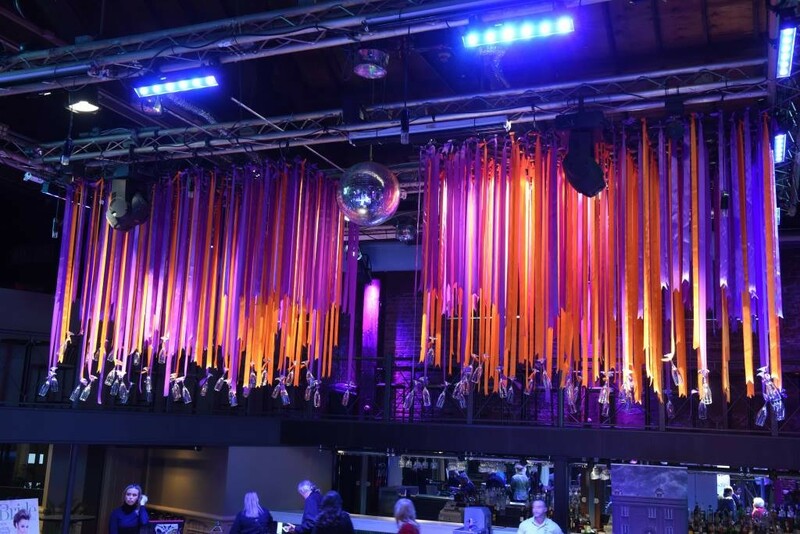 BATON ROUGE (press release) – Brew me something, barista! With Mardi Gras just one month away, CC's Coffee House is debuting its annually renowned Mardi Gras-themed coffee flavors at all of its Louisiana and Mississippi coffee houses. 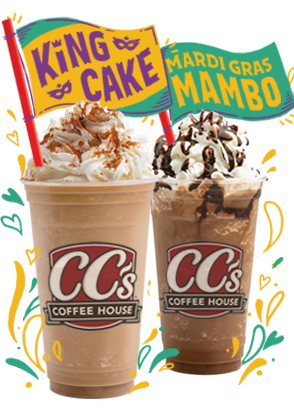 CC’s Coffee House is now serving King Cake Mochasippi, King Cake Latte, Mardi Gras Mambo Mochasippi and the Mardi Gras Mambo Latte. The King Cake Mochasippi and King Cake Latte both have the perfect blend of creamy caramel and brown sugar cinnamon that give them the exact flavor of traditional King Cake while the Mardi Gras Mambo Latte and Mochasippi feature a decadent mixture of dark chocolate mocha and coconut. “Mardi Gras is about cultural traditions, and over our 24-year history CC's has honored many of our local cherished traditions. For the past 10 years, we’ve featured the King Cake flavors and now this is the second year for our Mardi Gras Mambo chocolate favorites. We know we have the Carnival season covered with everyone’s favorite and delicious drinks and foods,” said CC’s Coffee House President and CEO Celton Hayden, Jr.
CC’s has always served King Cake slices in its stores, but this year the Coffee House is featuring unique King Cake balls, a popular, tasty serving of traditional King Cake in cake ball form made by Candace’s Cake Balls in Hammond. In addition, CC’s is offering the vibrant green-colored Pistachio Muffins which were introduced in stores five years ago and have become a favorite for CC’s customers at Mardi Gras time. It’s almost neon-green hue will put just about anybody in the Carnival spirit and is a reminder that St. Patrick’s Day is right around the corner. The special drinks and bakery delicacies will only be available at all CC’s Coffee Houses through Mardi Gras Day, March 5. For more on CC’s special Mardi Gras selections, visit www.ccscoffee.com.